After all the hype. After all the drama (minus a 60 minute TV announcement). 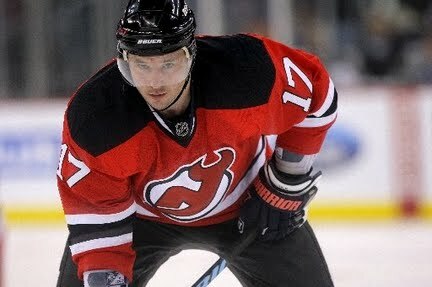 Ilya Kovalchuk has re-signed with the New Jersey Devils. Thus far there have been no obligatory "Deal with the Devils" headlines, however TSN did use "Devil's Advocate". Ugh. As much as Kovalchuk seemingly wanted to go to LA (who wouldn't choose Malibu over Newark? ), the Kings obviously just were not willing to meet his demands. Devils GM Lou Lamoriello never wavered from his "our offer still stands" position, and eventually Kovalchuk did come back to accept it. After a bit of a slow start, Kovalchuk had 27 points in 27 games with the Devils last season. New Jersey won the division, but were hastily dismissed in Round One again when their offense, once again, disappeared. We suppose it is a win for the Devils. We will find out the financial details on Tuesday; and what impact it will have on their ability to re-sign Zach Parise in the near future. Ignoring the rumors of 17 year/ $100 million deals, the standing offer was reported to be $60 million over 7 years. In other words Crosby/Malkin/Ovechkin money. While he is a great goal scorer, if he is paid like those guys... it is too much.